i test HTML canvas API and i see phpstrom editor support canvas API but when I want to rewrite the function , php storm show me too many options . 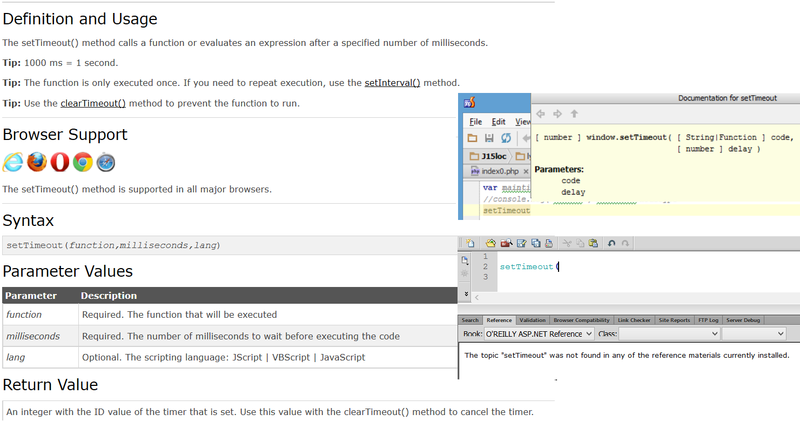 Here a cpature screen of Dreamweaver and phpstorm . 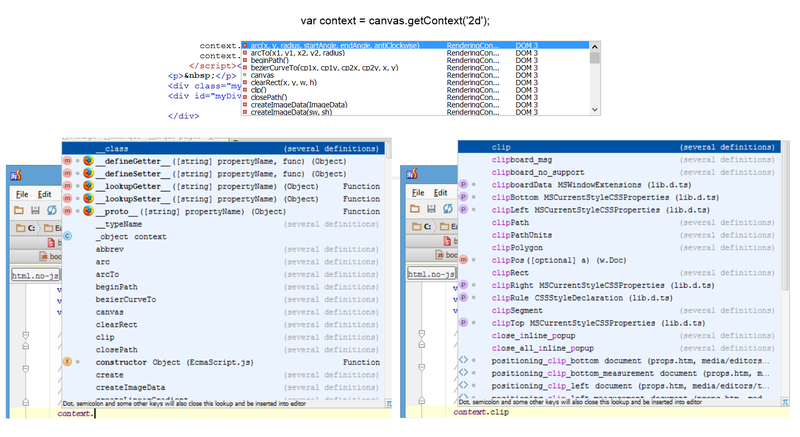 How phpstrom know the canvas API ? is there a way to change configure this ( internal , external install browser ) ? what is the state for 8 ?EAP ? Aptana seem to be the one that give the more information . Is there a way to enhance the documentation file that PHPStorm use for pop up documentation ? You can copy file content to a different file and modify the doc comments in the way you like. Everything written in /** */ comments attached to object will appear in quick doc. Even inline comments preceding the declaration will be parsed. You can use HTML tags to make your documentation look better.